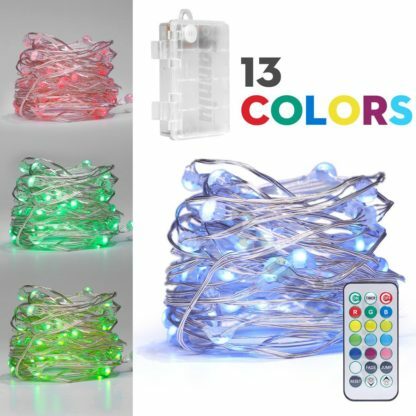 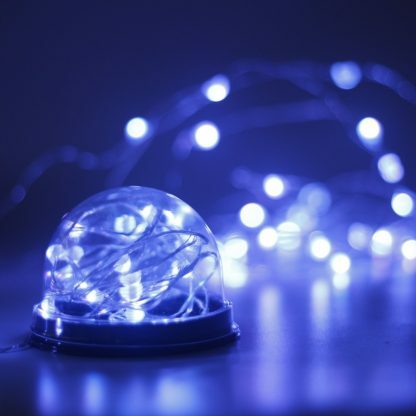 13 COLOUR CHANGING LIGHTS: 13 individual colors you can choose (RGB, white led, pink, yellow, blue, green etc.) 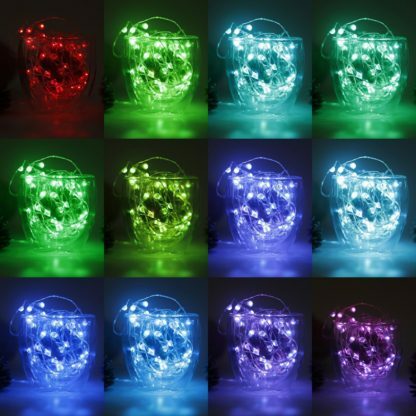 charming colourful lights which are commendable decoration for cup, vase, wall, jar, box. 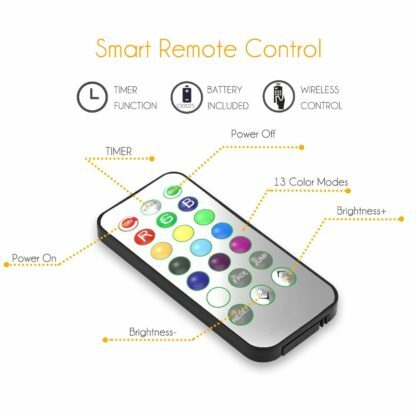 HANDY REMOTE CONTROL: the remote control cover distance is 16ft, within the distance , you can control your use time, adjust models conveniently. TRANSPARENT BATTERY PACK: Waterproof battery pack and 3 AA batteries needed; the fixed switch on the battery pack let it available to use with or without the remote. 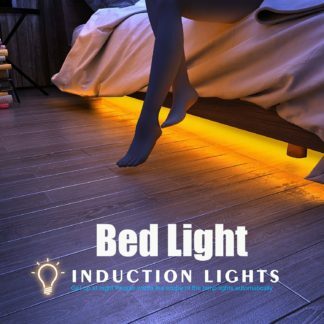 Over 13 colors lights, you can change one light everyday as you like, handy remote can make sure you can control the lights in 16ft distance. 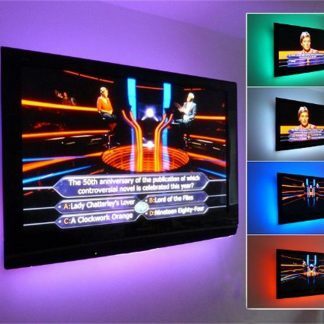 You also can change different mode, which bring charming and romantic atmosphere. 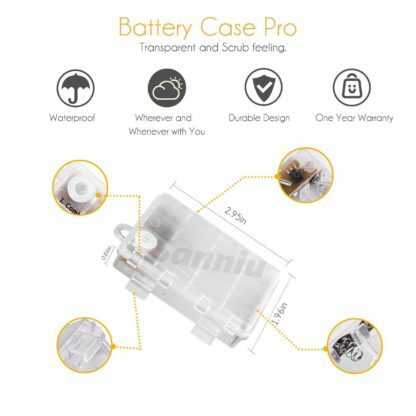 IP44 waterproof for all parts (to make surethe lights still work well outdoors, please avoid the battery pack sink in water for long time). 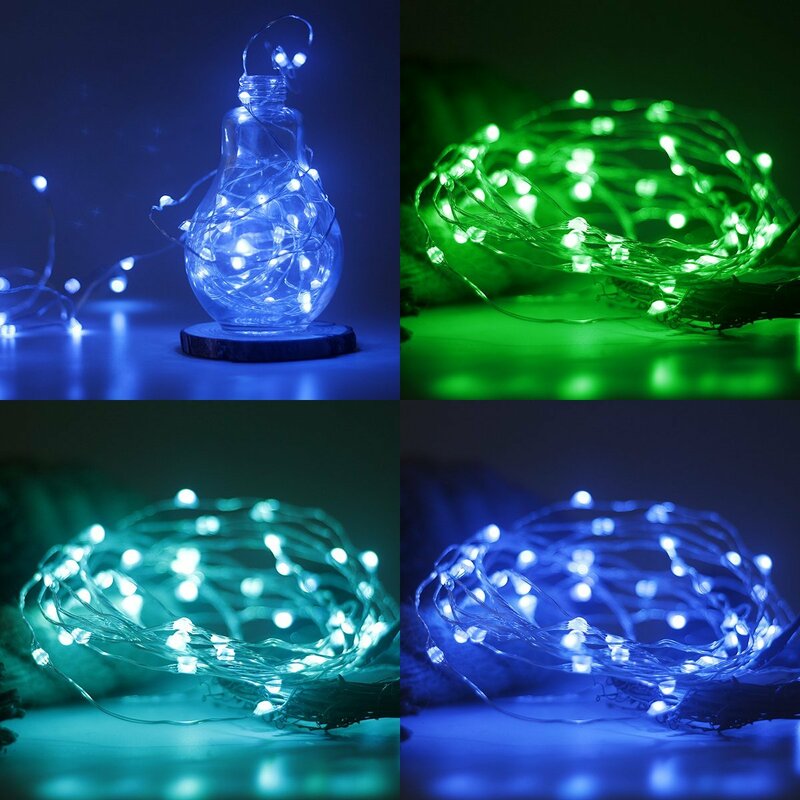 Decorative lighting with flexible silverwire, make sure you could easily bend them into any shape. Can be wrapped around furniture, plants, flowers, doors, jars, walls, windows, art crafts, painting frame, wine bottle, patio umbrella, balcony, bars, and boat decks and so on.